Posted on 08/16/2014Why Is Proving Paternity Important in Your WA Custody Case? This month we are discussing legally establishing paternity: how to do it, why to do it, and what to do if your child doesn’t have a verified father. We should also discuss why it is beneficial to your child to establish paternity. Creating a firm legal relationship between a child and their father can be tremendously valuable over the course of the child's life. 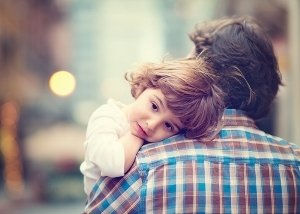 It's important to consider the child's long-term well-being, not only the emptiness that sometimes comes with not knowing who your biological father is, but also medical issues or financial troubles that arise throughout their life. Establishing paternity can ensure they are always taken care of. Your child will grow up knowing his or her identity and who his or her biological parents are. Your child will possibly gain a wealth of other relatives, including grandparents, aunts, uncles, and cousins. Your child will have the opportunity to connect with his or her father. Your child will have access to the medical history of his or her father – information that could become important in the event of a health issue or medical emergency. Your child will possibly become eligible for child support payments. Your child will possibly become eligible for his or her father’s benefits, including health care benefits, veterans’ benefits, or social security benefits. Your child could become the beneficiary of a life insurance plan. Your child could inherit assets from his or her father or other relatives. As you can see, there are emotional, medical, and financial reasons that establishing paternity can help your child. There are many other benefits of establishing paternity in Washington in order to protect the legal rights of the parents. Even if you do not think that the father of your child will be an active participant in his or her life, verifying paternity can accomplish other goals. Occasionally, paternity can't be established voluntarily, in which case you may need the assistance of an experience paternity lawyer to intervene on your behalf. If you have the need for a Seattle child custody lawyer, contact Molly B. Kenny today to learn more about how you can help secure the best future possible for your child.